Last month 27th Deepavali holiday, my dad and I at home. 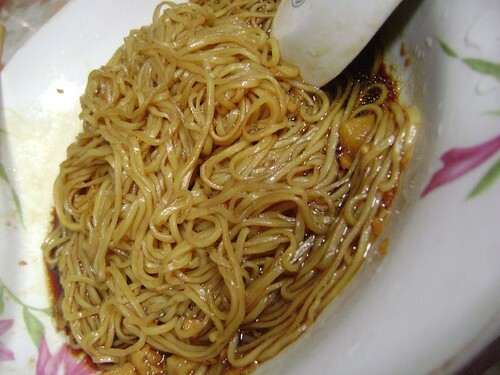 Seems nothing to do, we tried to make a plate of WanTan noodles without any meats, vegetables. 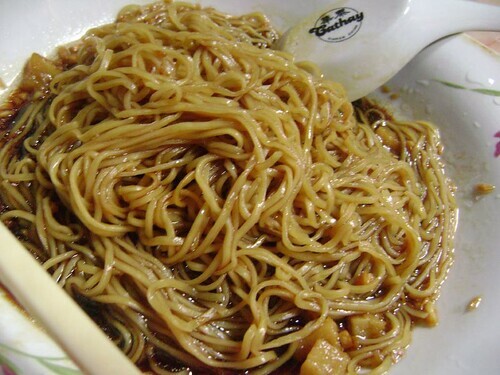 We just simply put the noodles with some ketchup and sauces to make it be cheap and nice! How we do the steps is not so detail to tell here! But I ensure that everyone knew how to make it!